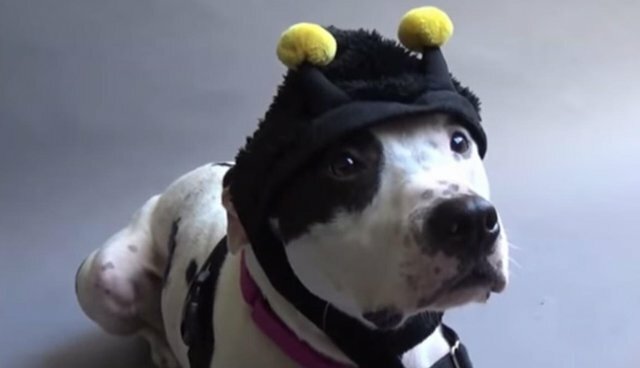 How On Earth Has This Pit Bull Not Been Adopted Yet? UPDATE 11:22 a.m. 1/23 -- Neeners has finally been adopted by a loving family. 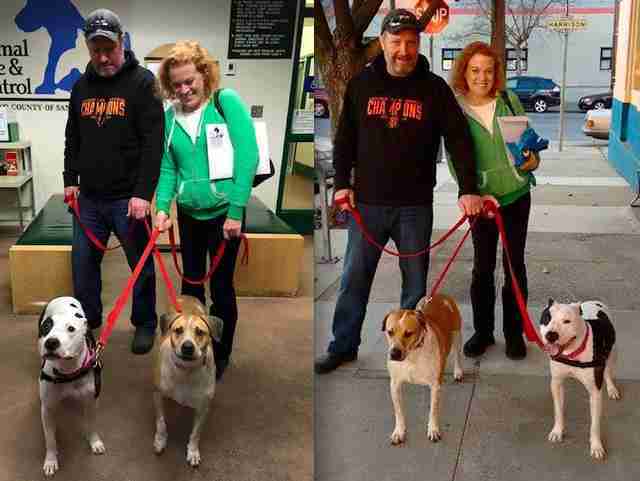 His new owners saw his delightful hat montage and came all the way from Sacramento to pick him up. Neeners will have plenty of room to run in his new home, as well as a big sister to play with. Congrats, Neeners and family! Neeners the pit bull is a delightful fellow who currently resides at the San Francisco Animal Care and Control (ACC) Shelter. While he is a handsome, well-behaved gentleman, he has been living at the shelter since September. He's even considered a "staff favorite," but so far no one has wanted to give Neeners a forever home. Why does this playful pup keep getting passed over? Shelter workers hypothesized that the lack of love was due to a small balding patch on Neener's head: "pit pattern baldness." When Neeners first arrived at the shelter from his former abusive household, he had a small lump on his head which required removal. Since then, ACC spokeswoman Deb Campbell tells SF Weekly that "His hair growth there has been a bit slow." 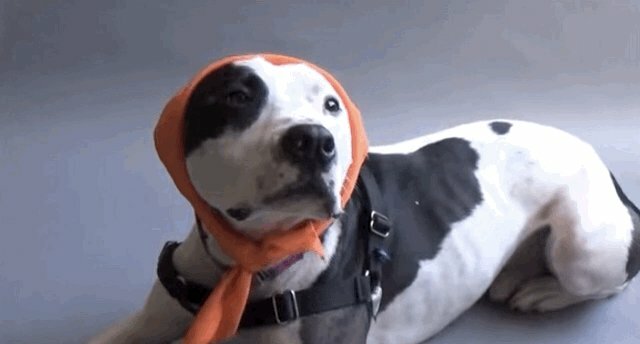 Fortunately, shelter workers devised a plan to generate some much-needed positive press for this loving pup: delightful head coverings! 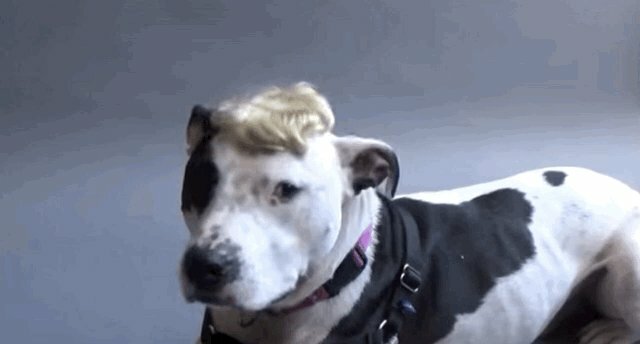 The shelter uploaded a video montage of Neeners wearing different funny hats in order to get prospective adopters to look past the dog's bald spot. 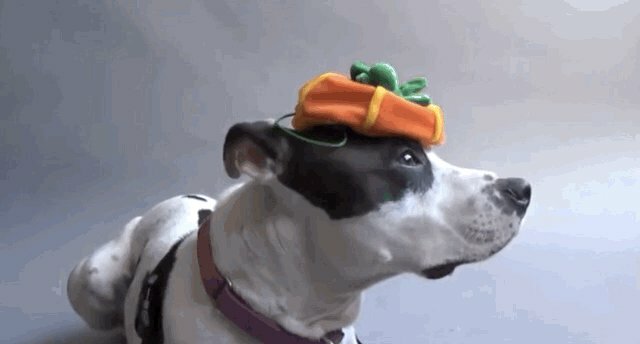 A jaunty pumpkin looks adorable, but Neeners vetoes it almost immediately. 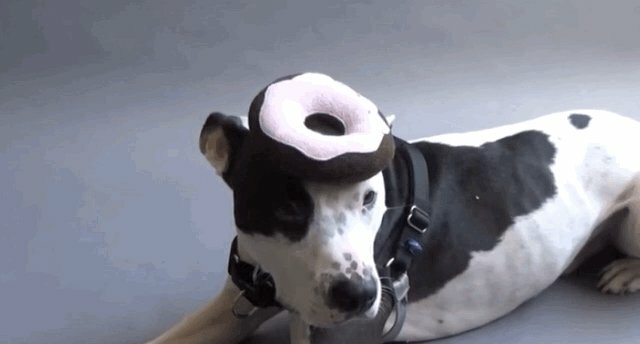 A perfectly-posed donut is a reminder of just how sweet this pup is. Best of all, a dashing toupee! NOW we're talkin'! In the end, though, Neeners decides to do away with the wig and just be himself - because his real self is way more awesome, and just as deserving of love. For information on adopting Neeners, contact Animal Care and Control Shelter at (415) 554-6364.